The chair of the WTO’s committee on regional trade agreements has given the European Union and Ukraine until today to respond to a Russian complaint that the recently implemented DCFTA trade clause of 2014’s association agreement between the two exploits free trade to Russia’s disadvantage. 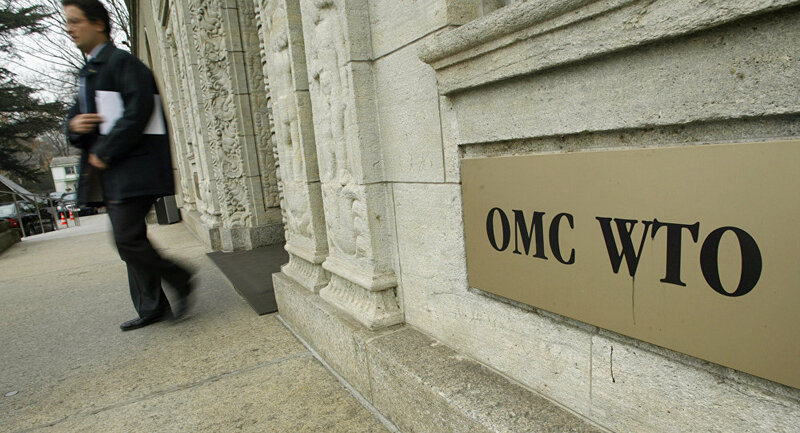 Since joining the WTO five years ago, Moscow has filed four complaints against the EU and two against Ukraine, protesting abuse of trade regulations. This specific suit follows on the heels of a demand to investigate Ukrainian sanctions against Russia, imposed in response to Russian aggression in Eastern Ukraine, which have slowed the growth of Russian online and business firms. Russian critiques of the association agreement argue that it violates the Commonwealth of Independent States’ standing free trade agreements between Ukraine and the Former Soviet states, and thus disadvantages Russian trade. This mirrors Russia’s upset over Ukrainian accession to the European Energy Community, intended to reduce Eastern European energy dependence on Russia. Russia will struggle to counter these measures economically, however, as Ukraine ended Russian gas dependence almost two years ago, further weakening Russia’s oil-based economic position.